Because of the close proximity to Cambodia and its border crossings, Koh Chang, Koh Kood and Koh Mak are ideally suited for travel to Siem Reap, Phnom Penh, Sihanoukville (for Kampot, Kep and Koh Rong) and Battambang. You can buy cheap through tickets in share minibuses to Siem Reap, Phnom Penh or Sihanoukville, make your own way independently or take private transfers, door to door, in either direction. 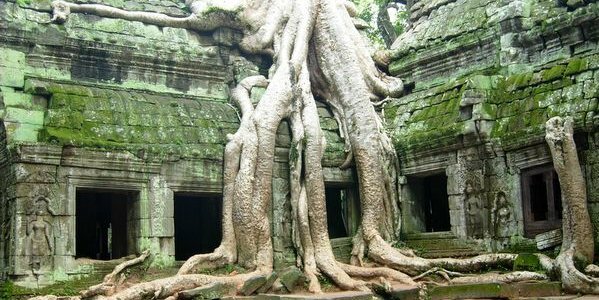 There are also border day returns for visa runs or day/night package tours to the Siem Reap temples. You can Contact Us with your questions about transfer by private car or minibus which we offer to and from the borders, as well as to and from Siem Reap, Phnom Penh, Sihanoukville and Battambang themselves and even Bangkok direct. This service is available from your Koh Chang hotel, Laem Ngop Pier (Koh Mak) and Laem Sok Pier (Koh Kood). Guide prices are at the bottom of this page, here. If you leave early morning either from Siem Reap, Phnom Penh or Sihanoukville, you will make the boat connections to all all islands. Going the other way, you wil reach your Cambodian hotel by late afternoon. 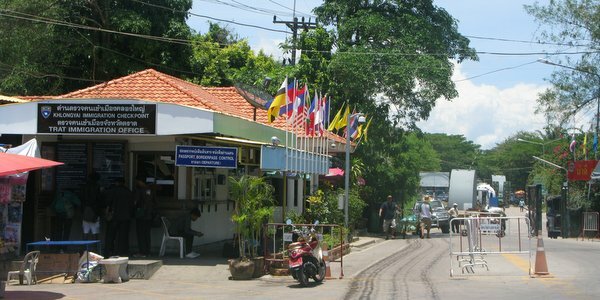 The nearest border from Koh Chang is at Had Lek (Cham Yeam on the Cambodian side), about 90km out of Trat and this is the border you will use for travel to and from Sihanoukville and Phnom Penh. The coastal road passes through the proudly signed ‘narrowest part of Thailand, an area flanked by the sea on one side with views across to Koh Kood in the distance and the hills of Cambodia on the other, before arriving at the hot but relatively sedate crossing. Shops line both sides of the street offering cheap clothes, shoes, copy watches and phones, definitely worth a browse if you have the time. There are also a couple of simple places to eat, noodle soups, chicken over rice, that kind of thing. Using Had Lek, through-ticket minibuses run all the way from your resort on Koh Chang to Sihanoukville and Phnom Penh at a cost of around 900bt including the ferry ticket, with resort collection from 06.30am to 07.50am for the 08.30am Centerpoint ferry. There is a change of vehicle at the border to a big bus or minibus depending on numbers, departure 14.00, which will take you through to Sihanoukville or Phnom Penh. Don’t be surprised if all passengers first go to the nearest town, Koh Kong and then are filtered into separate vehicles according to their final destinations. This has also been known to happen an hour down the road at the main T-junction/crossroads in Cambodia, where the road branches either to Sihanoukville or to Phnom Penh. If going under your own steam, a minibus shuttles back and forth every 45 minutes or when full enough from Trat Bus Station for 130bt, taking about 1.5 hours, making brief stops at Klong Yai, some 15km from the border and then Had Lek Town. You can reach Trat Bus Station from Koh Chang by using an island songthaew taxi (100bt from Lonely Beach) , ferry (80bt per person) and 2nd taxi (60bt, 300bt minimum charge) for a total cost of 240bt. Still travelling under your own steam, once over the border at Cham Yeam, it is then a 100bt-150bt 15 minute tuk-tuk ride or 270bt car to the main town of Koh Kong, with a bridge toll of 1200 riel on the way. If coming from Koh Chang, you need to leave the island as early as possible, 07.30am ferry at the latest, to make the second connection of the day to Phnom Penh or Sihanoukville. Bus times from the Koh Kong Bus station are at 07.45am (Phnom Penh) and 08.15am (Sihanoukville) or 12.00pm, 12.30pm (Phnom Penh) and 12.45pm (Sihanoukville), prices in the $10-$12 range. All timings are subject to change. If coming from Trat, an early start should see you safely on the lunchtime buses, though guesthouses there do sell the same through tickets as Koh Chang agencies. Share taxis, around $40 to $50 are parked up near to the border and Koh Kong Bus station as an alternative. Private taxis are $80 to $120, depending on your negotiating skills. Koh Kong is not such a bad town to stay for a night, with plenty of guesthouses, run by knowledgeable expats, who are very useful for proper Cambodia tips. It is also has a vibrant little scene for trial bikes into the Cardamon Mountains. Heading back the other way, if your travel under your own steam, use the Virak Buntham Co. bus which leaves for the border at 07.45am from Phnom Penh and 08.15am from Sihanoukville, with prices as above. After crossing, Thai minibuses run to Trat Bus Station for 130bt, leaving in theory every 45 minutes but increasingly adopting the ‘full’ system. The minibus area is on the right hand side about 200 metres down from border itself. It may also involve a change of vehicle in Klong Yai. Songthaews go from the Trat Bus Station to the ferries at Ao Thammachat and Centrepoint for 60bt per person, leaving when full or you pay more to go immediately. The through ticket from Sihanoukville and Phnom Penh to Koh Chang costs $25 to $28 including the ferry ticket, arriving at the border around 13.00 to 14.00. You change to a minibus for the Thailand leg, but this does not leave until all other transport has arrived at the border too, especially that Phnom Penh connection, so expect long hot delays. Once it does leave, the minibus drives straight to the pier at Centrepoint, via a ticket agency in Laem Ngop. This offers you transfer direct to your resort on the island for a further 100bt, a little more expensive that the share taxis on the other side, but regardless of whether you take this, all passengers are then driven to the boat. The last boat across to Koh Chang leaves at 19.30 and most likely, this will be the one you’re using. It’s a long day. The departure windows at which you stamp out of Thailand are on the left hand side and with this done, there is then just a short walk through no-mans land to the Cambodian side, their visa window being the furthest one along. You get the visa here and then go back a window to be stamped in. Visas at Had Lek are 1,600bt to 1,700bt. Dollars are, in theory, not accepted but if you do offer the $35 (the correct dollar price), after some horsetrading and payment or non payment of an additional 200bt to 300bt, the visa will ultimately be issued at the $35 price. There is a 100bt charge for a photo if you do not have one. E-visas, the simplest choice, are now accepted for entry and exit – see below. 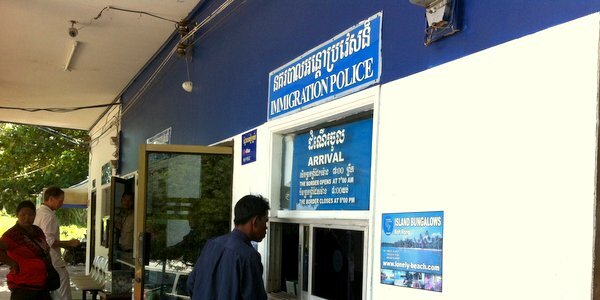 If you are on a visa run and returning immediately back to Thailand, 300bt is demanded for stamping in one window and out the adjacent one. Refusing to pay this fee will put you to the back of the queue, which may cause problems with your schedule once back over the border. For 50bt, harmless locals are on hand to get forms and help fill them in. Ignore the health check completely and always carry your own baggage. Aranya Prathet (Poipet, on the Cambodian side) is about 4 hours from the ferries and is the principal border crossing for Siem Reap. With its heat, dust, dirt, crowds and scams, it has a wholly warranted terrible reputation. It is also the main crossing point for transport coming out from Bangkok, casino buses as well as tours to Siem Reap, so it is phenomenally busy. 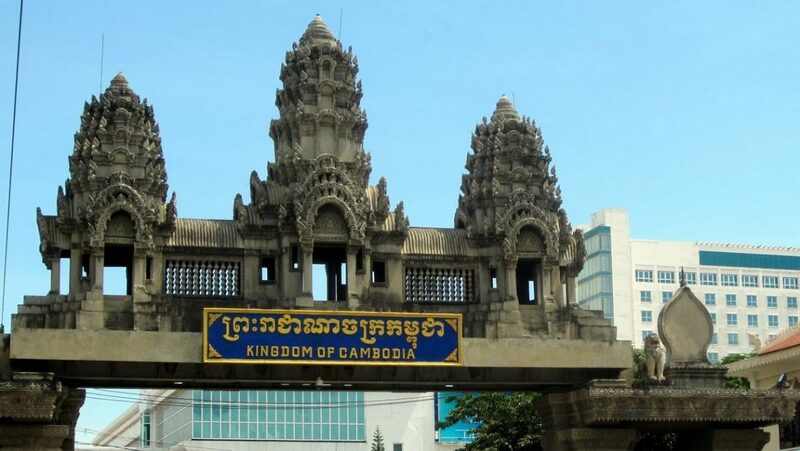 Expect long delays and pushy touts rather than friendly Welcome to Cambodia greetings. From Koh Chang, through tickets to Siem Reap are available at as low as 500bt on share minibuses. These pick-up from your resort around 6.30am to 07.50am, getting the 08.30am Centrepoint ferry, with the price of the ticket included. There will be a 30 to 45 minute LPG stop shortly after leaving the ferry. There is a change of vehicle at the border, journey time to reach there around 4 hours. Once through the border and with your visa processed, you will be made to stand around for an absolute age until someone takes you to the Poipet Terminal, from where your onward bus leaves at around 17.00. That bus stops near to Siem Reap not in it, so requiring another tuk-tuk ride, in the dark, to get you to your hotel for perhaps $10, during which you will be offered alternative accommodation and guide services. Whilst waiting at the border to be taken to the Poipet Terminal, you will be offered share taxis for $50+, the real purpose of why you are being held for no discernible reason. There is nothing stopping you from taking up the offer, simply ditching the remaining part of your cheap through ticket (300bt), but the rate being given is bumped up considerably. If you want the correct rate of $35-$40, walk past the other people waiting, ignoring the over zealous touts who tell you not to and head instead for the roundabout and its shops, where someone will offer you a ride at the correct rate. Journey time from the border to Siem Reap is 2.5 hours. Cambodian driving, by the way, is something you will remember and recount for many years to come. Coming from Siem Reap to Koh Chang is considerably more straightforward, with a share taxi costing $30-$40 to the border and another private taxi on the Thai side to the ferry piers about 2,500bt to 3,000bt a total journey time of 7-8 hours. This can be booked in agencies in Cambodia as a through ticket or you can find the taxi on the Thai side by following the signs. If doing it by minibus, the journey time is longer but the price only $12-$15 including the ferry ticket, with a big bus transporting you to the border and then a minibus to the pier at Centrepoint. For an additional 100bt to 150bt, the minibus will offer to take you to your resort. You will likely be on the last ferry at 19.30. The visa is 1,600bt to 1,700bt or $35 and you can get this just after the archway at Cambodian Immigration. As with Had Lek, if you do not have a photo, a 100bt charge is levied. The best advice is fill in the forms here and only here, ignoring any coercion to do it earlier at the now infamous ‘restaurant’ a km or so back. There is an additional fee of 100bt for being in the system which you can refuse to pay, but you will then be made to wait until those that have paid it, are processed. Contrary to advice given elsewhere, the fast track service for 200bt to 300bt may indeed speed things up. E-visas are accepted for entry and exit and take you out of the scam nonsense all together, but not necessarily the wait. Do not change money anywhere near the border or in any restaurants along the way. Ban Pakkard (Phsar Prom on the Cambodian side) is a very quiet border crossing, ideal for getting to Battambang. It is not served direct from Koh Chang unless by private transfer. To get there by public transport, travel by bus from Trat Bus Station to Chantaburi Bus Station, 1 hour at 60bt and then seek out the ‘casino’ minibus company near the river by KP Grande Hotel, which runs direct to the border for 150bt, journey time of 2 hours, 09.30am to 12.30pm. From the border, there are share taxis for $20 to $25 direct to Battambang, journey time of 1.5 hours. Alternatively, you can take a motodup to Pailin for 100bt and take the share taxis for 200bt per person or 400bt for 2 seats. Doing the trip in reverse simply means arriving at the border in time to catch one of the casino minibuses on its return to Chantaburi, with all prices the same. Visas are $35 and to avoid confusion, only fill out applications at the Immigration Office, not where you are dropped, with 100bt for a photo if you do not have one. E-visas are not accepted for entry from Thailand, but are accepted for exit – i.e. you can stamp out with an e-visa, not in. E-visas can be bought via the official site at https://www.evisa.gov.kh/. Allow 72 hours (during a working week) with cost of $30 for the visa, $6 for processing and $3 for bank charges, $39 total. If buying a visa at the border, remember the passport photos. 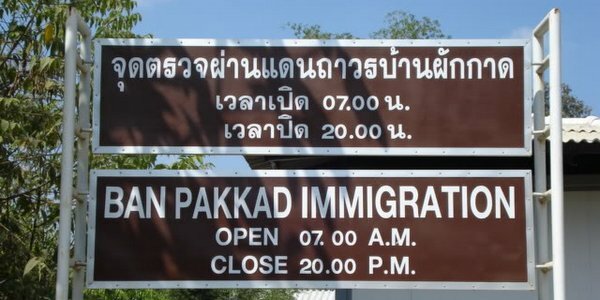 The border crossings are open from 07.00am to 20.00 (Aranya Prathet 21.00), but most transport arrives at the same time, so be prepared for some long waits to get processed, especially back into Thailand. Carry your own bags and ensure that you have them with you at all times, as tales abound of bags returning to their original departure point, whilst the passenger has cheerily crossed to the other side of the border – an occurrence, in fairness, normally brought about by error rather than devious design. Sage advice from seasoned travelers suggest that cheap through tickets across borders are prime scamming targets, as seen by the difficulties at Siem Reap in getting a visa and then continuing your journey. Koh Chang banks tend not to sell dollars, so either exchange in Trat if you have time, ask around where the rates will be poorer or remember to get extra THB baht before you set off. We organise private transfers by car or minibus that run to and from the borders or indeed all the way through to and from Siem Reap, Sihanoukville, Phnom Penh and Battambang. There is a vehicle change once you enter the other country. These leave from your resort on Koh Chang, ferry ticket included or from the Laem Sok Pier (Koh Kood) and Laem Ngop Pier (Koh Mak). If coming from Koh Kood, Koh Mak or Koh Wai, the ferry ticket is not included. 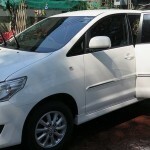 We normally only book transfers into Cambodia if you have an evisa. If going to Siem Reap, we use a VIP guide who meets the vehicle at the border, takes you through the whole Immigration process and then on to the Poipet Terminal, where your private vehicle is waiting for the final leg to Siem Reap. Coming from Siem Reap, we always suggest an early morning collection from your Cambodian hotel due to the slowness of Thai Immigration, where getting stamped into the country can take upwards of an hour. For Koh Kood, in particular, you must leave Siem Reap at 05.30am to 06.00am to ensure connecting to the last daily boats from Laem Sok Pier at 14.20 Boonsiri and 15.00 Koh Kut Express. For Koh Mak, the last daily boats from Laem Ngop Pier are the 16.00 Panan or 17.00 Suansuk speedboats, so a 07.00am start from Siem Reap is advised. A similar start time would put you on either the 15.00 or 16.00 ferry to Koh Chang. 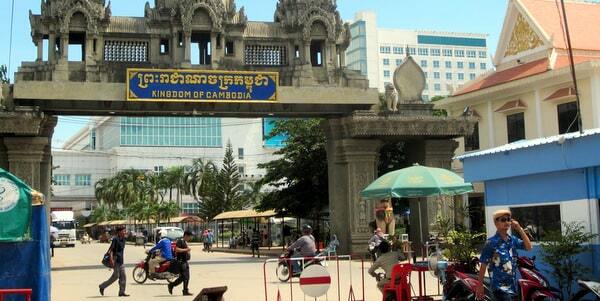 When exiting Cambodia, there is no need of a VIP helper through Cambodian Immigration – it’s only used when going in. Please see the transfer pages here for Koh Mak or here for Koh Kood for prices to and from the border to their respective piers. Please do contact us here for more information or a quotation, giving your full requirements including route, number of people, date of travel, adults and children, hotel names. You can also email at explorekohchang@gmail.com. In an ideal world, we do require a week’s notice, but short notice requests can normally be accommodated too. We do take a deposit via PayPal. All balances are paid in Thailand, either before exiting the country or on arrival at your resort. Please also note that cancellations may be charged at full cost due to us pre-paying the Cambodian side on your behalf. Share or join minibuses to Siem Reap can be booked once on the island – we no longer book them ourselves. We can book the share minibus to Sihanoukville and Phnom Penh – please contact us as above. Costs are 500bt per person with the ferry ticket for Siem Reap, including collection from your resort on Koh Chang. Phnom Penh and Sihanoukville are 900bt, same deal on collection and ferry ticket. We do stress that these journeys, especially to Siem Reap, are notoriously long, difficult and frustrating. They are cheap for a reason and all tickets sold on Koh Chang for join minibuses ultimately use the same Cambodian companies once over the border. Driving to the respective borders, you will take a 30 to 45 minute LPG stop together with all the other minibuses and once you enter Cambodia, you will find yourself waiting around for several hours. Visa runs are from 1,000bt per person for a return to Had Lek by minibus with the ferry ticket included, leaving at 06.45am from Lonely Beach, White Sand Beach some 20 minutes later and returning about 16.00.